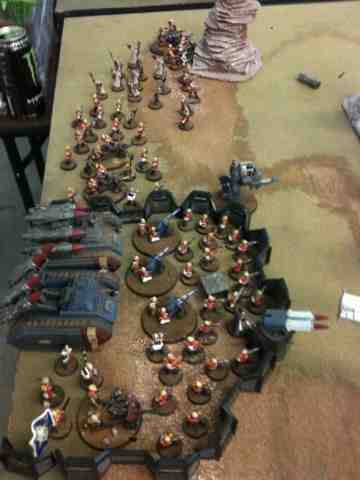 The 23rd Praetorian Imperial Guard: Onward to Victory 23rd! Just a few shots from my recent tournament. 3/3 wins and 20/20 on paint! unfortunatly those wins were by too narrow a margin to net me any awards and my paint competitors were just fantastic so no prizes there but overall a great day and some great games. 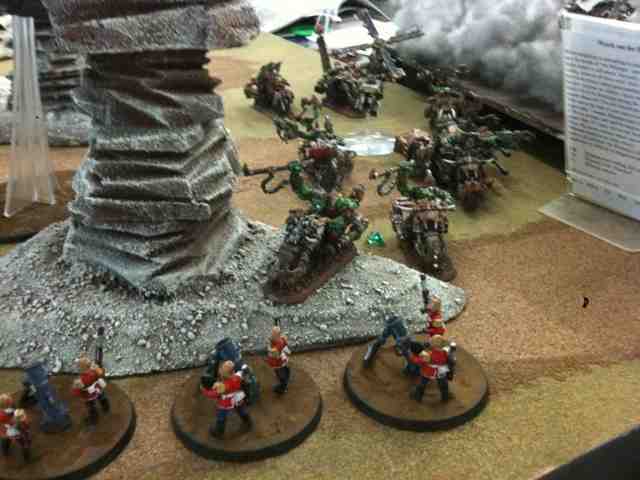 A squad of mortars shell the ork line in game 1! 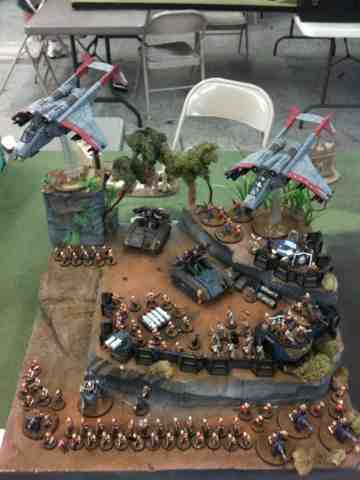 my deployment. veteran squad, psykers platoon command and 20man blob outside the walls on my left flank with the manticores, 30man blob and company command inside the walls. 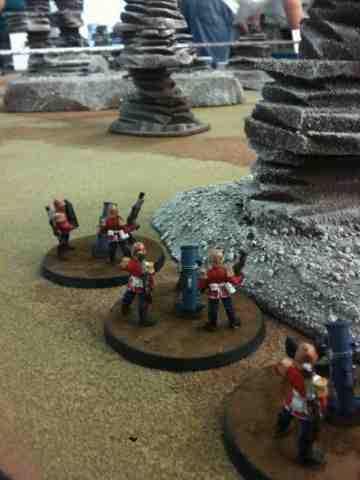 the lone sentinal was an important part of my strategy moving into position with a scout move and first turn. The mortar squad not pictured is a good 15" to my left flank. 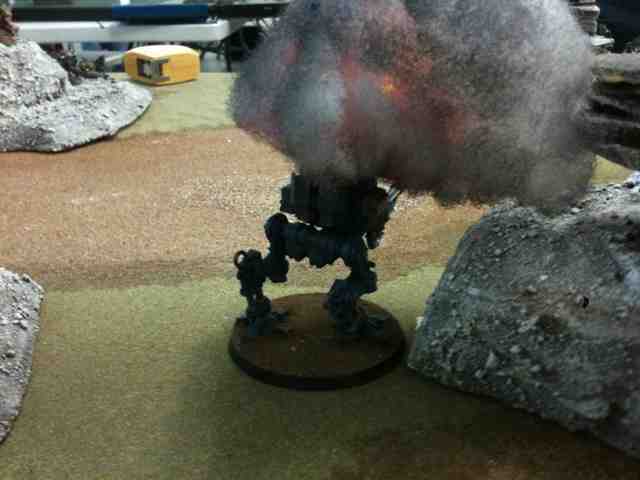 The sentinal uses his search light to counter the night fighting on turn 1. this results in the smoke clouds seen in my opponents deployment as the manticores unhindered by the darkness rain death down upon the awaiting orks, killing a battle wagon, 4 or so lootas inside and a few boyz standing too close. 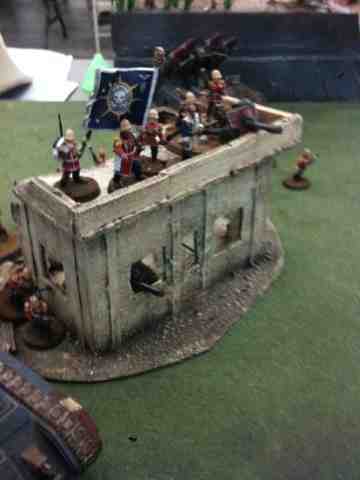 the enemy rides down to assault my mortars. this proves their undoing as they roll a 1" consolidation and are forced to remain clumped up from assault for my manticores to target them. having been delayed till turn 4 by the officer of the fleet the enemies 2 dakka jets finally make their attack runs but it is too little too late. Victory to the 23rd Praetorian! 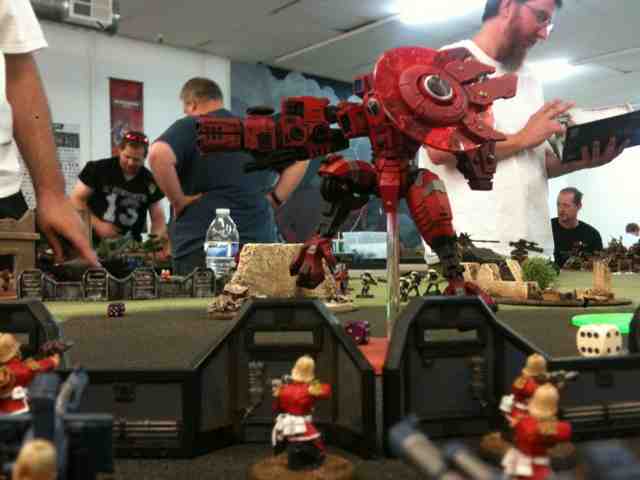 my third game was against the Tau. 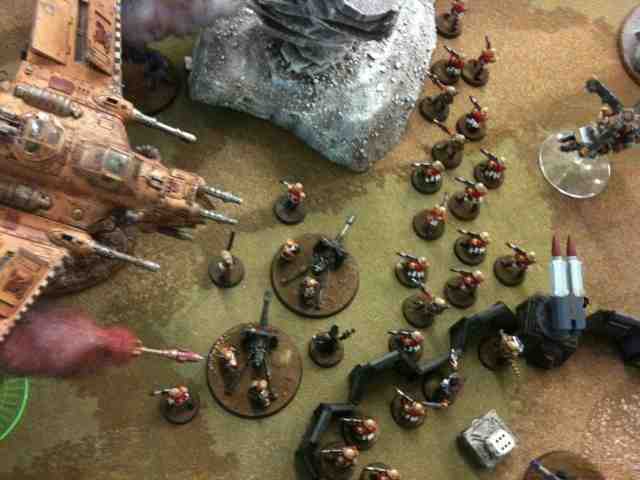 Here you can see the company banner and the 20man blob holding the far left flank. 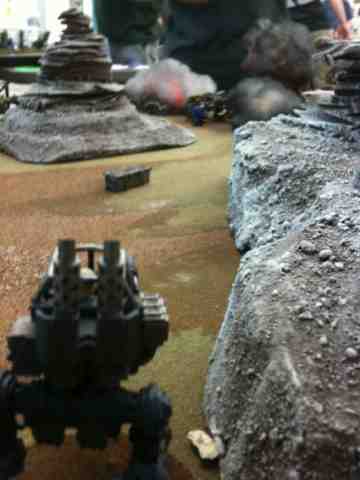 The manticores fired their missiles dry during this game and barely seemed to scratch the enemy. I don't know if I've ever thrown so many 1's with these guys. The Enemy's not so secret weapon drops in to say hello. In the background you can make out the source of the enemies power.... bottled water. here is the final display board. Very impressive, and more victories for the Guard. Huzzah! Your army looks great on the field. Congrats on the wins! That is an incredibly impressive display board too! Very nice! I love my Manticore, but it definitely seems to run hot and cold. Thanks for sharing the pics!